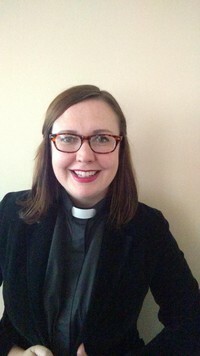 Reverend Sara Relaford is a 2015 graduate of Emory's Candler School of Theology, in Atlanta, Georgia. Before attending seminary, she worked for the Clerk of the Georgia House of Representatives. She met her husband Jon at Candler and they were married in May 2015 before graduating and moving to South Carolina. Jon is also a Methodist Pastor and serves the St. Matthews charge, including East Bethel, West Bethel, and Mount Zion. Sara was born in Texas, has spent most of her life in Atlanta, and is excited to call Saint Matthews, and South Carolina her new home. A lifelong Methodist, Sara loves reading about John Wesley and United Methodist history. She is here to serve Christ, St. Paul UMC, and the Saint Matthews community.